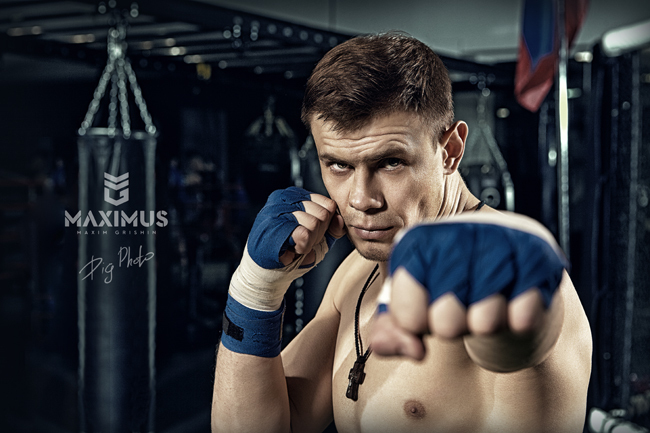 Mixing an effective jab and punishing kicks with a tactical grappling attack, MMA fighter Maxim “Maximus” Grishin stalked and dominated Maxim Futin to score his 11th consecutive victory on June 11th. Shortly after that commanding performance, we had a chance to catch up with the Russian light heavyweight to discuss his training process. Omegawave: Can you specify how you use the Omegawave system? Maxim Grishin: Before answering this, I must tell you that I previously used mostly subjective feeling to assess my training readiness. Now, with Omegawave, I am able to add objective feedback about my recovery. I measure myself almost daily, usually in the morning after waking up. I use this information to understand how much work I can do that day and what type of training is optimal, given my physiological condition. I must stress this point: with objective data, I am able to precisely know when to reduce training loads and by how much. This approach helped me to reach a higher sports performance level than ever before, as exhibited by my fight success. OW: Can you tell us more about your training process? MG: In a normal training week, I do 10 sessions: martial arts in the morning and conditioning training in the evening. What I saw [from Omegawave’s data] is that usually from Monday to Wednesday my body handled the training load of two sessions per day quite well, but by Thursday or Friday there was a chance that accumulated stress had taken its toll and my readiness numbers were not optimal. Thus, once I saw these readings on my Omegawave system, I was able to reduce the load significantly on those days in order to avoid overstraining my body and stay injury-free. At times, I even took the whole day as rest, something I hadn’t done at all when I was using only subjective feedback to guide my training. OW: Did you pay special attention to any particular parameter on your Omegawave assessments? I felt the central nervous system, or DC Potential, correlated greatly with my ability to perform complex movements in training. Once I understood that, whenever my DC potential was low in the morning, I would avoid any training that required complex biomechanics in the subsequent sessions. OW: Besides you, who else sees your data? Do you show it to your coaches? MG: I shared my data with a few trusted experts, like Dr. Roman Fomin from Omegawave—who gave me physiological advice—and Vasiliy Volkov, who helped me with my strength and conditioning training. I currently don’t have a martial arts coach. Instead, I train myself in that respect and so far this set up has worked very well for me, although I understand it is not the norm in the fight business. OW: How did you feel during your last fight camp and going into the fight with Maxim Futin? Were there differences compared to previous fight camps? OW: What was the biggest change you made to your training process thanks to the objective data? MG: The reduction in overall volume and also the reduction in the time of each individual session. Previously, I would often work to exhaustion in one session by doing sessions that lasted 2-3 hours. This time, I did much shorter sessions, and if I needed to get the volume in, I would just add more short sessions into the day. In sparring sessions, I would also use the biological information to my advantage. What I mean is that when I had a poorer functional state, I tried to fight more economically—whereas, when my state before the fight was optimal, I fought more aggressively and pressed forward all the time. OW: What has been your biggest takeaway from this experience with objective data? MG: Well, first of all, I think I reached the highest performance level ever in my pro career—I was able to use this to my advantage during the fight, and I felt I was always one step ahead of the opponent. The second aspect was learning how to adapt training based on physiological feedback and trust the fact that training certain things in a fatigued state is not going to make me better, however much I might wish for it. So, pushing through fatigue in order to maximize training volume is not the way I approach training anymore.